Experiencing Neck, Back or Sciatica Pain? Call Our Chiropractic Center Now! 908-859-1919 and we will schedule an appointment for you right away. Or if you found our site outside of our office hours, leave a message and we will call you back as soon as possible. And YES, we do accept most insurance plans and we will submit your bill to your insurance carrier so that you have no paperwork. We practice "treat and release chiropractic"
This means we resolve your aches and pains as quickly as we can. Then we send you on your way. Many people avoid chiropractors because they think they will need to go forever. This is not the case with our practice. Our facility has an onsite gym with commercial grade equipment for use in your treatment. Please ask our staff how we can assist you in utilizing our gym. 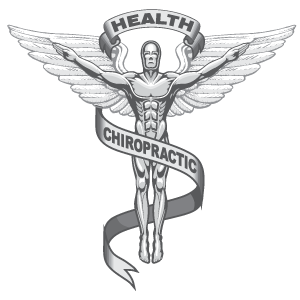 "Dr DePaolis is a great chiropractor, my all over health is improved after each visit. Would suggest that you give him a try." Click on the + to show more info. Fibromyalgia, Headaches, Balance Disorders, Dizziness, Vertigo, Shoulder and Arm Pain, Leg Pain, Restless Leg Syndrome and Pinched Nerves. Diversified, Gonstead, Thompson Drop Table, and Full Spine Therapy. We also have a full complement of physical therapy equipment located within our facility. Copyright © DePaolis Chiropractic Center. All rights reserved.